The President shall be the Chief Executive Officer of the ASSOCIATION and shall serve without pay. He/She shall preside over all meetings of the Board of Directors and the Annual Meeting. He/She shall be an Ex-Officio member of all committees with the right to attend and be heard at all committee meetings but without the right to vote. He/She shall be expected to attend committee meetings whenever possible. He/She shall appoint members to perform such duties as he/she deems appropriate and necessary for the conduct of business by the ASSOCIATION. He/She shall appoint a Vice President as Chairman of each standing committee, but not the committee members themselves. He/She shall have general management of the business of the ASSOCIATION and shall see that all orders and resolutions of the Board of Directors are carried into effect. He/She shall execute all contracts that may be authorized and signed by the President and four (4) or more of the Board of Directors. He/She shall have the power to call Special Meetings of the Board of Directors, between regular quarterly meetings, whenever he/she deems it appropriate or necessary or upon application by at least three (3) members of the Board of Directors. He/She shall report to the Board of Directors at each regular quarterly meeting all activities and/or official business conducted by him/her in the name of the ASSOCIATION since the last regular quarterly meeting and a summary of this report shall be kept in the minutes of the meeting. He/She shall convey to his/her successor all unfinished business of the ASSOCIATION and assist as requested in the transition. He/She shall maintain oversight over all the other officers and committees. Together with the Secretary, he/she shall sign a true copy of all minutes or other official documents and shall require an annual audit of the financial records of the ASSOCIATION. He/She shall have published and distributed to the ACTIVE Membership a copy of the year end financial statement. Should the office of the President be declared vacant, the following is the order of succession: Immediate Past President, Vice President (Membership and Public Relations Committee), Vice President (Legal and Legislative Committee), Vice President (Ethics and By-Laws Committee), Vice President (Program and Education Committee), Treasurer then Secretary. There shall be four (4) Vice Presidents elected by the membership and they shall serve without pay. The Vice Presidents shall assist the President in the performance of his/her duties and shall perform any and all duties delegated to them by the President. Each STANDING COMMITTEE shall have a Vice President as its Chairman, and each Vice President shall appoint the members of his/her committee(s). From among the Vice Presidents, the President shall appoint one of them as ADMINISTRATIVE VICE PRESIDENT. In addition to all other duties of a Vice President, the Administrative Vice President shall serve as President in the absence of the President when requested by the President or the Board of Directors. The Secretary shall serve without pay, and keep a complete and accurate account of all meetings of the Board of Directors and the Annual Conference. The Secretary shall maintain permanent files containing minutes, correspondence, Treasurer's Reports, Membership Applications and other official documents of the ASSOCIATION. He/She shall transfer these permanent files to his/her successor in a timely manner. He/She shall receive and respond to all communications regarding the ASSOCIATION. He/She shall maintain the official membership roster including names, addresses and telephone numbers and shall issue membership applications, cards, or certificates. He/She shall be the custodian of the official set of Constitution and By-Laws of this ASSOCIATION and shall make any changes, corrections, or amendments as they are adopted. The Secretary shall within 14 days of assuming office make the proper filings with the North Carolina Secretary of State as the registered agent for the ASSOCIATION and make the required yearly filings for the ASSOCIATION as registered agent with the North Carolina Secretary of State. The Treasurer shall serve without pay and be custodian of all funds of the ASSOCIATION. The funds of this ASSOCIATION shall be deposited to a financial institution insured by the Federal Deposit Insurance Corporation using the ASSOCIATION name and any address convenient to the Treasurer. He/She shall keep books and records of the ASSOCIATION to show the receipt of all income/revenue and the expenditure of all funds. He/She shall prepare a detailed written financial statement and present it to the Board of Directors at least quarterly, or as requested by the Board of Directors. He/She shall submit an Annual Financial Statement to the Board of Directors immediately prior to the Annual Meeting and shall assist in the Annual Analytical Review. There shall be an Annual Analytical Review just prior to the Annual Meeting to be conducted by 1 current board member other than the Treasurer and by 1 member of the ASSOCIATION not serving on the Board of Directors who possess a competent knowledge for reviewing financial documents. A review shall be conducted by a Certified Public Accountant every 5 years beginning in 2015 and every 5 years thereafter. The Board of Directors shall determine the specific period time that each review shall cover when an review is required under this section. A compilation of the past 12 months financial records for the ASSOCIATION shall be done by a Certified Public Accountant each time there is a change of Treasurer for the ASSOCIATION. The Certified Public Accountant conducting review or compilations shall have not provided personal services to the Treasurer or another current or past board member for a period of 5 years. The Treasurer shall pay all ordinary and necessary bills and obligations of the ASSOCIATION, and any expenditures authorized by the Board of Directors. The President may spend up to $300.00 without any prior approval by submitting a receipt to the Treasurer. He/She shall promptly turn over to his successor all funds, books, records, and any official documents of the ASSOCIATION in his/her possession, and shall assist in any transitions. The books and records of the ASSOCIATION shall be open to inspection by any ACTIVE MEMBER in good standing at any reasonable time and place. He/She shall perform any other duties as requested by the President or Board of Directors. The Treasurer shall cause the proper Internal Revenue Service tax filings to be made each year and shall have the power if needed to engage the services of a certified tax accountant to ensure the proper filings are completed as required under the Internal Revenue Service non profit tax codes. A copy of these tax filings shall be maintain for the ASSOCIATIONS records. This Committee shall examine, study, and make recommendations for action concerning the laws, rules, regulations, or other official positions of the PRIVATE PROTECTIVE SERVICES BOARD, its Administrator, or the General Assembly of North Carolina, as well as any proposed changes to any laws, rules, regulations, or official position that might affect the members of this ASSOCIATION. This Committee shall be responsible for promoting and encouraging membership in this ASSOCIATION. Together with the Secretary, this Committee will maintain records of membership for use in identifying prospective eligible members. This Committee shall be responsible for improving public relations wherever possible and advising the President in public relations matters. The Treasurer will be a member of this committee. This Committee shall be responsible for preparing an annual budget for the ASSOCIATION and having it presented at the Annual Meeting. This Committee will provide direction and oversight to the Treasurer. This Committee shall advise the Board of Directors as to any financial matter, and attempt to anticipate any unusual needs or expenditures. This Committee shall serve as an Investigative Committee in the event of any dispute over eligibility; or in the event of an allegation against any member for a violation of the Code of Ethics. This Committee shall make timely recommendations to the Board of Directors. This Committee shall be responsible for a continuing study for the Constitution and By-Laws of the ASSOCIATION and shall formulate and recommend necessary changes that are desirable. This Committee shall be the determining body in matters involving the interpretation of the By-Laws and their determination as to the interpretations of the By-Laws shall be final. This Committee shall promote professionalism by preparing and promoting opportunities for professional continuing education. This Committee will assist the President and the Board of Directors in preparing for all meetings and shall provide input for the agenda. This Committee is responsible for providing for logistical arrangements for the four (4) quarterly Board of Directors meetings and the Annual Meeting. The Political Action Committee (PAC) will be maintained under the duties of the Vice President Legal & Legislative with the Vice President serving as the chairman. Two additional members will be appointed by the PAC chairman and approved by the NCAPI Board of Directors. This committee will be responsible for receiving contributions from members or other individuals. They will make contributions to candidates deemed worthy by the PAC and approved by the NCAPI Board of Directors. They are to make recommendations to the NCAPI Board of Directors regarding retaining legal counsel or lobbyist(s) to represent the NCAPI. They are required to act in accordance with all applicable rules and regulations governing Political Action Committees. The Benevolence Fund Committee shall consist of 3 members in good standing who shall make recommendations to the Board of Directors upon receiving a request for financial assistance. This committee shall be appointed by the Board of Directors. The Benevolence fund has been established to offer relief to fellow ASSOCIATION members who through no fault of their own that have a legitimate need of financial assistance, having made said need known, which has been verified and confirmed by the Benevolence committee. Upon receiving a report of the Benevolence Fund Committee, the Board of Directors shall by majority vote determine the amount of any financial assistance to be made to the member in good standing. This fund shall be funded by voluntary donations from the general membership. The TREASURER shall deposit all funds for the Benevolence Fund into a special account at a FDIC protected financial institution. The TREASURER shall make payments out of this account as approved by the Board of Directors. A report of all collections and disbursements shall be presented at the general membership meetings. The recipient's name receiving any disbursement from this fund shall be omitted from the public report, but shall be kept of file with the Board of Directors. The Election Committee shall consist of an odd number of members in good standing having a minimum of three (3) members and shall be appointed by the Board of Directors no less than ninety (90) days before the elections of officers at the Fall Conference. No member of the Board of Directors nor any Candidate seeking office shall serve on the Elections Committee. The Election Committee shall be empowered to conduct the entire elections process as herein described. The Election Committee shall inform membership of the slate of Candidates by use of prudent available forms of media no less than 30 days before the annual election of officers. Notifications shall be repeated as often as is prudent to ensure the slate of candidates is available to the membership. Notifications shall include a brief biography and contact information for each candidate. Members are encouraged to contact candidates directly with questions or comments prior to election. During the election of officers the NCAPI President shall relinquish control to the Chairman of the Election Committee or their designee, who will conduct the elections The Election Committee Chairman or their designee shall be responsible for maintaining proper order and decorum during the election process. A Sergeant at Arms will be appointed by the NCAPI President prior to the beginning of the election process and will assist as directed by the Chairman with maintaining order. The Election Committee Chairman or designee shall obtain a list of all current members in good standing from the Secretary. They shall then identify all those present who are eligible to vote and distribute a ballot to each. A candidate forum including a brief question and answer session and moderated by the Election Committee Chairman or their designee will be held the night before the elections. The Election Committee Chairman or designee shall conduct the election of officers in the following order: President, then 4 Vice Presidents, then Treasurer and finally the Secretary. The Election Committee Chairman or designee will select two ( 2 ) members of the general membership not running for office to assist with counting the ballots. The Election Committee Chairman or designee shall turn over all cast ballots to the Secretary who will retain the ballots for a period of 90 days, during which the ballots may be inspected at the Secretary's office by any member of the association whose dues were current at the time of the election. Roberts Rules or Order will govern any issue not specifically addressed by the NCAPI Constitution and By-laws during the elections process. 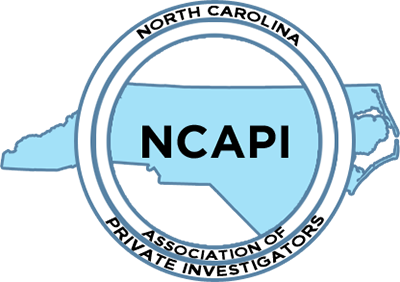 The North Carolina Association of Private Investigators Board of Directors shall be permitted to transfer $2000.00 each year from the general fund to the scholarship fund when funds are available without affecting the financial affairs of the Association. The scholarship fund shall also be further funded through the use of raffles and private donations. Any dependent child, grandchild, or adopted children of a member of The North Carolina Association of Private Investigators in good standing shall be eligible to apply to the scholarship fund for each academic year of their degree or technical program. The children of a deceased member who was in good standing at the time of his or her passing shall also be eligible to apply for a scholarship. For purposes of eligibility, the parent of the applicant must be a current member of the North Carolina Association of Private Investigators and must have been an active member for a minimum of two consecutive years. The North Carolina Association of Private Investigators Board of Directors shall award one (1) scholarship each year when scholarship funds are available and scholarship applications have been duly submitted. Additional scholarships may be awarded at the board’s discretion when sufficient funds are available. Awarded scholarship monies must be used to help cover the cost of attending any two (2) or four (4) year college, university or technical school. Each year, prior to June 1st, The NCAPI Board of Directors shall appoint five (5) members in good standing to serve on a scholarship review committee. No NCAPI Board member may sit upon the review committee. No review committee member’s dependent child shall be considered for a scholarship during the time that member serves upon the committee. The review committee shall review all applications to the scholarship fund and make a recommendation to the NCAPI Board of Directors for the awarding of scholarship funds. The application process shall include: The completed official application, a copy of the letter of acceptance from the school the student will be attending and a 1000 word essay on a topic to be chosen yearly by the Board of Directors. The topic shall be the same for each applicant during the scholarship cycle. No essay topic shall be repeated more often than every five (5) years. The topic of the scholarship essay shall be announced each year at the Fall conference for the upcoming scholarship cycle that begins in January. Scholarship topic, requirements and application shall be maintained on the NCAPI website. Once a scholarship has been awarded, the student must maintain at least a 2.7 grade point average ( B- GPA) in order to apply for scholarship assistance for additional years of education assistance. Applications for scholarships shall be submitted by first class mail to the NCAPI Secretary. The submission period for scholarship applications shall run from January 1st thru June 1st of each year with the scholarship being awarded at the board’s regular scheduled meeting in August. Applications must be received by June 1st to be considered. The Secretary shall provide a copy of all of the eligible applications to each member of the review committee by June 10th of each year so that the committee may begin reviewing each application. The Secretary shall remove the name, address and other identifying information of the applicant from the application package and assign each application a number before forwarding the applications out to the committee. The Secretary shall not make the name known of any applicant to any board member or committee member until the applicant has been officially chosen by the number that was assigned to the application by the committee and the NCAPI Board of Directors has voted based on the committee’s recommendation. Once the scholarship application has been chosen based on the number assigned to it, the Secretary at that time shall release the name of the applicant that corresponds to the application number chosen to the NCAPI Board of Directors so that the scholarship winner can be announced. Once a scholarship has been awarded, the Secretary shall make available a copy of the chosen application to each officer of the NCAPI Board of Directors. The Secretary shall not have a vote in the scholarship process. The scholarship committee shall submit their recommendation to the NCAPI Board of Directors no later than August 1stof each year. The Secretary of the Association shall retain all original scholarship applications, essays and any required supporting GPA documentation in the official NCAPI records. The names of each member serving on the committee shall also be maintained in the Association’s official records each year a scholarship is awarded. These records shall be available to any member of the Association for review upon request after the scholarship has been awarded each year. Roberts Rules of Order shall govern the conduct of all meetings except as otherwise provided in the By-Laws.